The CPS Series Pallet Jack Scale with its built-in printer is the ideal scale to weigh pallets. Heavy duty construction and easy to use. The CPS Series Pallet Jack Scale is available in 3 sizes and will be sure to meet your pallet weighing needs. Legal for Trade version now available. Capacity of 3000 lb or 5000 lb. 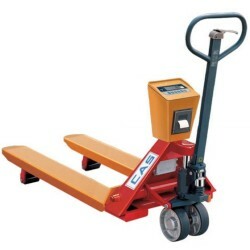 The CAS Corporation CPS-2 pallet truck scale is ideal for mobile weighing of pallets in a warehouse. Unlike a traditional stationary pallet scale, the CPS-2 pallet jack scale from Central Carolina Scale is portable and easy to operate with its 5 digit LCD display making it simple to weigh in any light. Power is provided with either an included AC adapter or rechargeable batteries, making it mobile in any situation. The CPS-2 pallet jack scales save you time and money by being able to weigh and carry a product at the same time. Heavy duty construction and easy to use. Uses CAS CI-2001B Simple weighing Indicator, Lb/Kg switchable, Gross, Net, Tare. RS-232 output to built in tape printer. Prints Time/Date - Weight - CNT, Includes Rechargeable battery with charger. The CPS Series Pallet Jack Scale with its built-in printer is the ideal scale to weigh pallets. Heavy duty construction and easy to use. The CPS Series Pallet Jack Scale is available in 3 sizes and will be sure to meet your pallet weighing needs. NTEP Legal for Trade version. 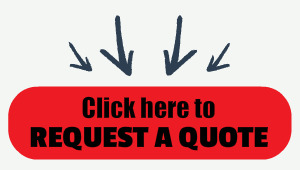 Shipping weight is approximately 410 pounds and will ship on a pallet via a LTL freight truck.